Healthcare-associated infections can be contracted in a variety of medical settings such as acute care hospitals, ambulatory surgical centers, dialysis facilities, outpatient care facilities, and long-term care facilities. Although HAIs are preventable, nearly 1 in 25 patients contract an HAI daily while staying in a hospital. A patient who is currently undergoing medical treatment should not have to worry about contracting a potentially deadly infection during their stay. However, according to the CDC, about 1.7 million HAI infections occur in hospitals annually, causing 99,000 deaths each year and averaging around $20 billion in healthcare costs. Unfortunately, there are numerous HAI infections that can be contracted in a medical facility. The CDC along with other organizations such as the HHS and the Office of Disease Prevention and Health Promotion (ODPHP) are committed to coming up with ways to prevent these infections by providing tools and assessment strategies. For example, the ODPHP has implemented a national action plan designed to train healthcare professionals on infection control via computer simulation. There are other strategies healthcare personnel can use to prevent HAIs in hospital settings but one of the most important is cleaning and disinfecting surfaces in rooms. A study examining infections found on hospital room surfaces claims, “A multifaceted approach to preventing infection is critical to reducing the risk for HAIs, including hand hygiene practices, antimicrobial stewardship, and environmental cleaning and disinfecting.” This study was a meta-analysis of 80 previous studies focused on C. Difficile, MRSA and VRE and found that 61% of the articles focused on cleaning or disinfecting, solidifying the importance of sanitary conditions. There were several studies that focused on wipes and the findings showed that wipes were effective in reducing C. difficile. 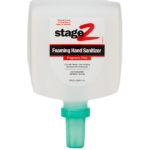 2XL is a leading manufacturer of easy-to-use and effective cleaning, sanitizing and disinfecting products. Our products are designed for use in numerous industries including the healthcare industry. 2XL is changing the world by enabling customers to reduce infections, improve safety and wellness, and save lives. CDiffend are safe and revolutionary tablets registered to kill C diff spores in 4 minutes. They are EPA registered and kill 47 pathogens. 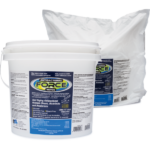 Force2 wipes are the safest and most effective surface disinfectant on the market. 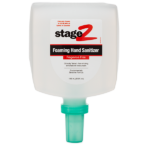 These wipes are safe on most surfaces, and fast acting with a kill time of 2 minutes. 2XL is your trusted partner in the healthcare industry.